The award-winning Bath Taps into Science festival returns with a bigger and better programme than ever before between March 11-18 2017. 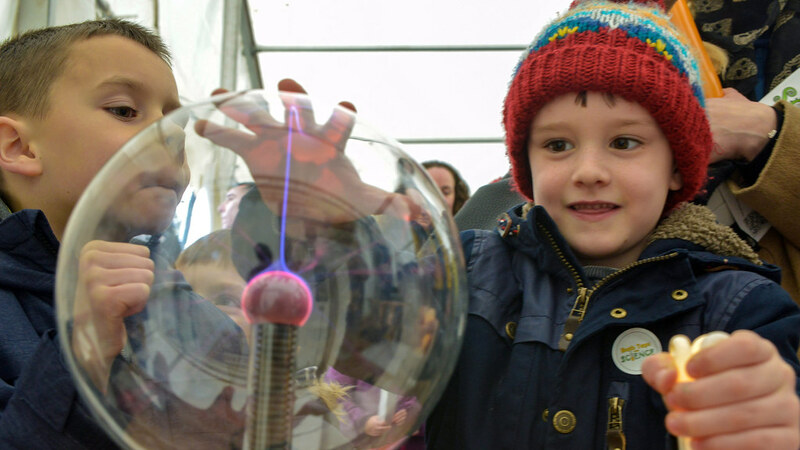 A week packed with dozens of free hands-on workshops, demos, activities and performances culminates with a huge Family Science Fair in Bath’s Victoria Park on March 18. The Family Science Fair, located in Victoria Park near the bandstand and Royal Crescent, is a great opportunity for families to get hands-on with science and engineering research from across the city through interactive exhibitions, animatronic dinosaurs, planetarium shows and live demonstrations in the bandstand between 10am-4pm. Other free events open to the public during Bath Taps into Science include a science-themed comedy adventure at Hayesfield Girls School, a ‘Superwomen of Science’ musical performance highlighting outstanding achievements by female scientists at The Edge, University of Bath and following the theme, Patricia Fara from Cambridge University joins us to talk about the history of gender in science and does it matter?! We are excited to welcome 2016 Royal Institution Christmas Lectures presenter Professor Saiful Islam to the festival on Wednesday March 15, whose lectures were broadcast to millions on BBC4 in December. It promises to be a fun filled hour full of energy! More than 1,700 school children will visit the University of Bath campus for the Schools Science Fair on Friday March 17, where they will get stuck into science exhibitions presented by researchers, local companies and local secondary school students. Festival project manager Andrew Ross, from the University of Bath Widening Participation Office, said: “When it comes to getting people excited about science, Bath Taps into Science has it covered. From Saturday 11 - 18th March, the University of Bath's award winning Festival is back - and it's set to be bigger and better than ever! “In 2016 we had almost 8,000 people engage with the festival and this year with almost 70 events we hope to reach out to even more. For the first time ever we are excited to launch a public programme of events where almost every day during the festival we have something for families and adults. The popular festival is now in its 17th year after being founded by University of Bath professor Chris Budd in 2000 to inspire and enthuse children and families about STEM (science, technology, engineering, maths) to give researchers the chance to show the impact of their work to the wider community.